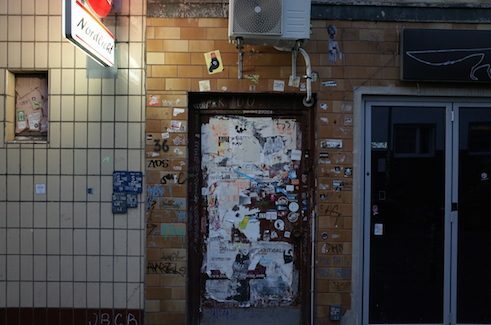 PlanBude, a planning agency with a activist approach, arose in the course of discussions on the4 demolition of the "Essohäuser" in Hamburg's St. Pauli district. 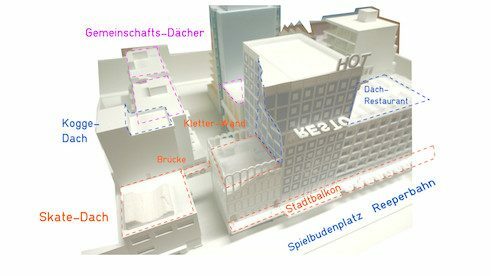 They developed innovative planning methods for the new construction on the property on the Reeperbahn - in the midst of the red-light and night-life quarter. 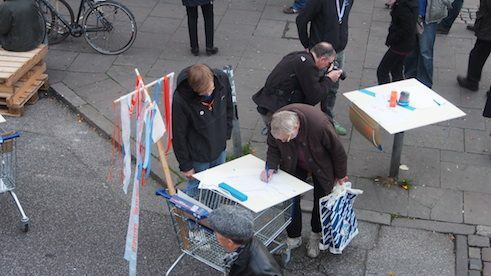 An interdisciplinary team of architects, artists, social education workers and urban planners was 2014 commissioned by the Hamburg district administration office to organise a public participation which would then serve as the template for an architectural competition for a 6000 square meter site. As a rule, participatory processes of this kind are run in a formalistic fashion and with scant pluralism. PlanBude, by contrast, sought to develop methods through which as many people as possible could include their ideas, with the goal of formulating precise demands, not just nonbinding suggestions. 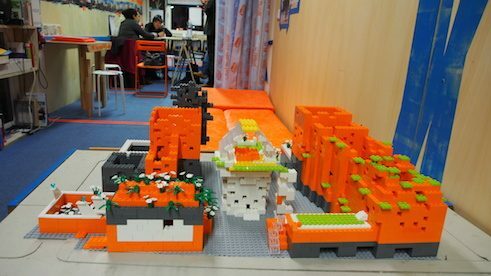 Lego model | Photo: Margit Czenki PlanBude had the binding character of the participation findings contractually guaranteed by the district administration office and within four-and-a-half months collected 2300 contributions from residents. 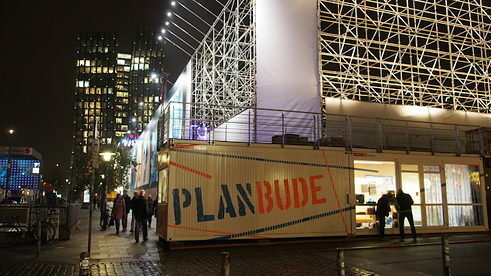 For this purpose they set up a PlanBude container directly at the construction site and organised the planning process as a platform for exchange: PlanBude developed a Lego model on a scale of 1:150, a black “night map” on which people could sketch with markers what St. Pauli might look like by night in 2020 – there were “tactical” pieces of furniture such as a traffic bollard that transformed into a table and a shopping cart into a work surface. In this way, the street was transformed onto a public planning studio. Wish output | Photo: Margit Czenki A series of lectures, workshops and a film tour through the district’s bars and dives addressed economical construction methods, the displacement of the music scene, changes in the red-light district and the “Disneyfication” of the Reeperbahn. The PlanBude team prepared image analyses from the total of several thousand statements by residents, filtered out succinct phrases and developed majority decisions. As a case in point, it emerged in this way that housing space was in extremely high demand and a high level of density was acceptable as long as the flats remained affordable. A public ground storey, a young people’s arcade and a neighbourhood meeting point were also desired. Spaces with frequent use were to be relocated to the roof. All told, segmentation was popular, with niches and many entrances and boltholes. PlanBude gained feedback on their analyses in additional neighbourhood assemblies and – with the consent of the district and the investors – were ultimately able to make the residents’ demands the template for the competition. Now it was the architects’ task to realise these very concrete, precise demands. The architectural agencies NL and BeL won the urban-development competition with a model that closely adhered to the residents’ wishes and expectations and did not shrink from crass contradictions and inhomogeneity. is an interdisciplinary team from the fields of planning, art, social work, film. music and architecture. Photo: private Christoph Schäfer studied at the Hochschule für bildende Künste (University of Fine Arts) in Hamburg from 1985 until 1992. Starting in 1989, he concerns himself with everyday urban life and collaborates with other artists, planners and architects. 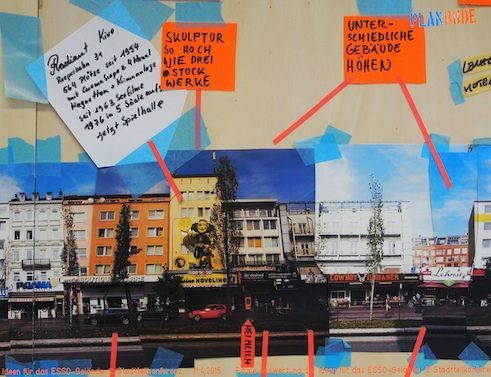 His project “Park Fiction” already addressed collective urban planning in Hamburg and was presented at the Documenta in Kassel in 2002. Photo: private Renée Tribble studied architecture at the Bauhaus University in Weimar from 1998 until 2005. 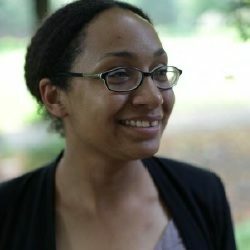 She works as a free-lance planner for a variety of architectural firms and as an instructor at Hamburg’s HafenCity University, where she teaches “Urban Design”. Additional Planbude members are: Christina Röthig (social worker), Volker Katthagen (architect and urbanist), Margit Czenki (filmmaker and artist), Lisa Marie Zander (architecture student), Patricia Wedler (cultural studies expert and musician). 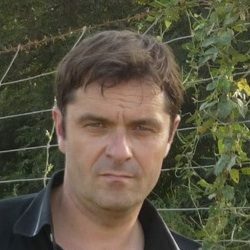 Toni Nottebohm is a filmmaker and a video journalist in Munich and Barcelona. Copyright: Text: Goethe-Institut, Toni Nottebohm. This work is licensed under a Creative Commons Germany Attribution – NoDerivs 3.0 Germany license.